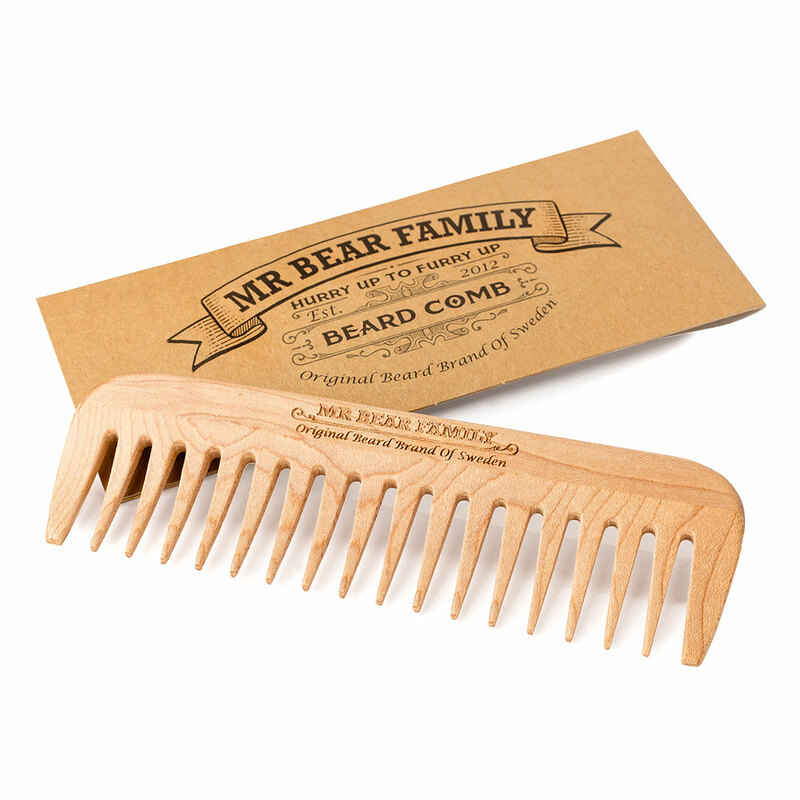 Mr Bear Family Beard Comb made from 100% maple wood. 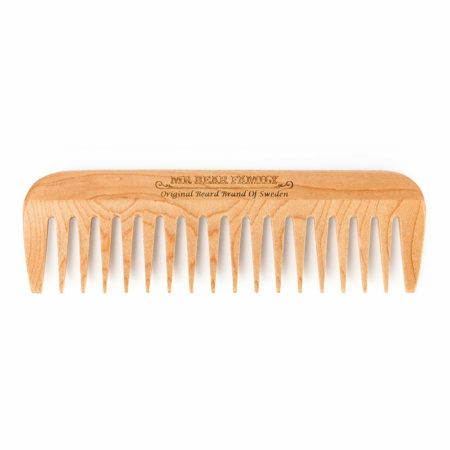 The Mr Bear wooden beard comb is made from 100% Maple wood and laser engraved with the Mr Bear Family logo. 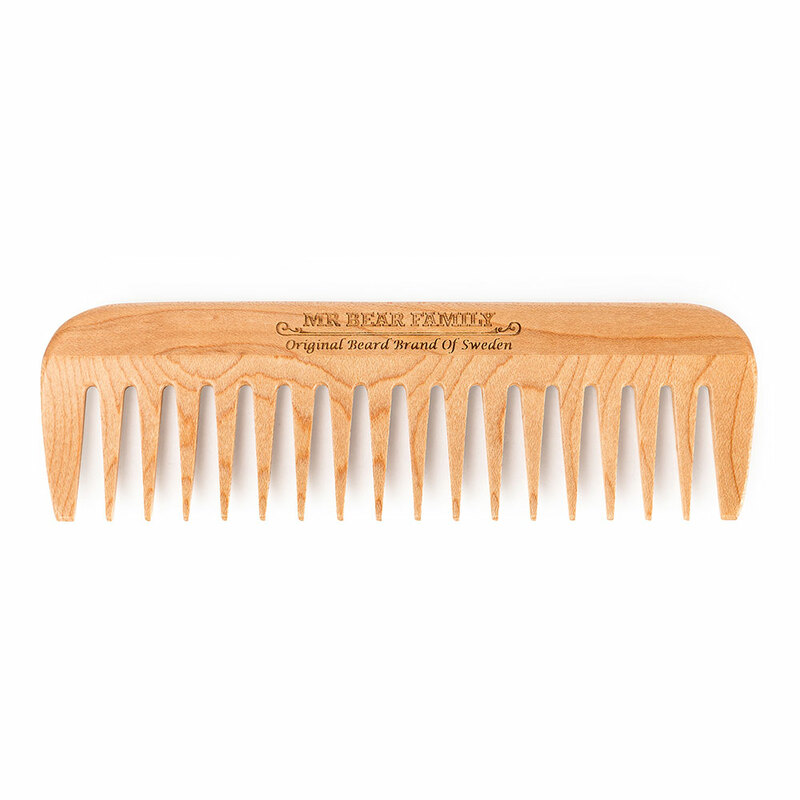 A comb with wider teeth that will keep your beard de-tangled and in good condition.